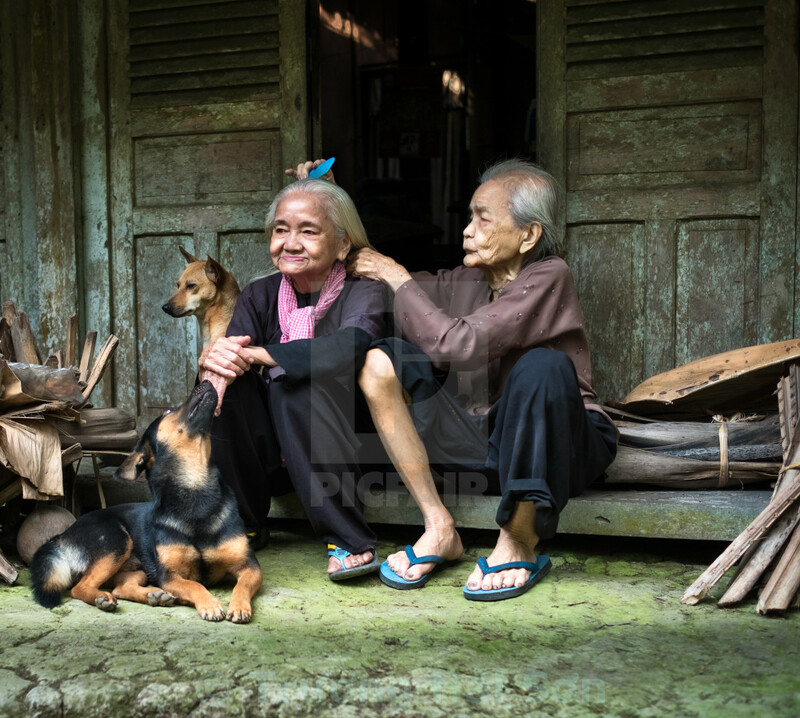 This is a photograph of an old sisters live at the countryside in South Vietnam. I was fortunate enough to come upon this photo when older sister was combing younger sister with a dog was looking at them. 60 years ago, they take care Alzheimer's father until he pass away. They never marry and take care for another in a cottage and a small parcel of land. Even though they was poor, but they was happy with sisterhood.